Blondie - Greatest Hits and Other Favorites ! JohnnyTwoToes finds this a genuine Movie but lost in a bad propaganda script ! As I am writing for an international audience I realize that as an American, I will not be liked by everybody and that my country will also be a sore spot for many around the globe. I can respect that and try to understand that, so having said that, thus starts my review for Act Of Valor, now out on DVD. Act Of Valor is a very rousing and energetic film but is very respectful of all who serve in our military, living and deceased. It was written, directed and stars actual Navy Seals and although it is a fictional story, the acts of valor it is portraying are very real. As the film opens, a horrific explosion rocks a school yard filled mostly with school children and an ambassador as the intended victim. The film then jumps to an American doctor (Roselyn Sanchez) who is actually an active CIA agent monitoring terrorist cell activity. Once she is kidnapped by the very people she is watching, the Navy Seals spring into action to save her only to uncover more nefarious activity than they originally thought. The film's stars are unidentified and I looked at IMDB (Internet Movie Database) and at Wikipedia. This is not about who plays the characters but the reverance that is shown towards them. I am, have always been, and always will be proud of all service men and women and this film is a very respectful film to honor their service. Where I had problems was in the acting and a script that seems cliched. I would have sat down and done another couple of re-writes to hone this script to be a little more gutsy. Having talked to people about this film I mentioned that the leads should have taken some acting classes before shooting (they may have, anyway) and the response has been ,"Can you imagine Navy Seals taking acting classes?". To which my response is, "Yes, if they want me to shell out money for a ticket, they need to take some acting classes." I don't think I am out of line for saying so, too. It is the so-so acting that lessens the emotional impact of what the filmmakers are trying to do. The script by Kurt Johnstad seems to be recycled out of other spare movie plots and the countless terrorist films. Trust me you have seen these terrorists and their plots in countless other films. There is nothing new here. 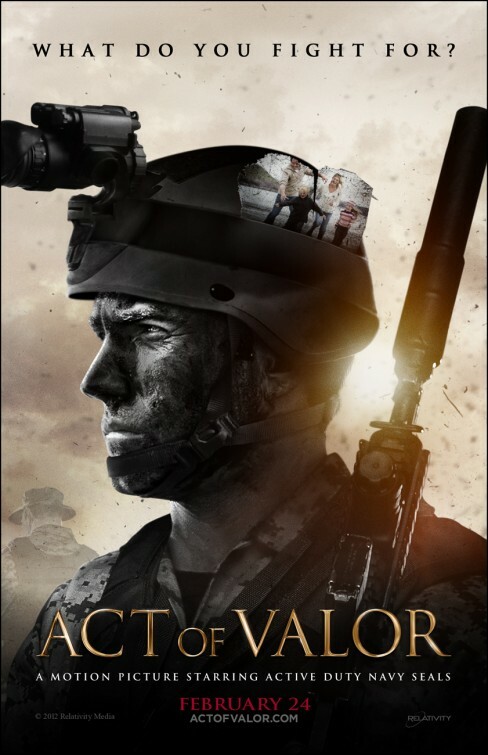 However, where Act Of Valor is strongest is its direction by Mike McCoy and Scott Waugh. The action is crisp and some shots of what the military hardware can do, quite frankly had me in awe. I also enjoyed Nathan Fursts patriotic score that bolsters the action. Act Of Valor could have been a more solid film had they taken the time to make it deeper and have characters the viewer can sympathize with. Could it have been better? Yes. Am I glad I saw it? Yes. Do I wish they make another film along this line? Yes. So this was a mixed bag, but still you could for far worse. Act Of Valor **1/2 out of 4.